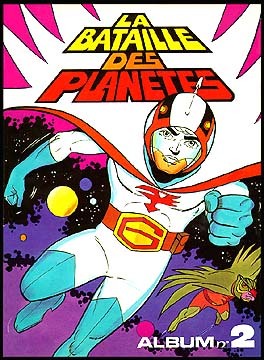 Information: This softcover book contained stories four through six reprinted from the monthly "Battle of the Planets" magazine. Examples of the original magazines can be seen here. The stories themselves don't have any distinct beginning or end or titles, but G-Force faces and defeats three different distinct villains in the course of the book. The art appears to be a notch or two above the American comic books, though it still isn't fantastic. Full-color.